Hello everyone! I am Megha Arora and I have secured the 108th rank in CSE 2017. I have chosen the Indian Foreign Service as my first preference. Sharing my experience on a platform that gives guidance to thousands of aspirants is a privilege. I congratulate the team at Insights for the excellent work that they do day in and day out to give candidates the required competitive edge. During my preparation, I consulted insights for topper strategies and motivational articles. There were 4 pillars to my prelims preparation: current affairs, foundational books, previous year papers and vision test papers. I focussed on this alone and revised 3-4 times before writing the 2017 prelims. I did not let myself be seduced by the deluge of content either online or in the market. I did not touch any magazines. Some coaching institutes make tall claims of rank boosting modules or magic booklets. I don’t need to name them because you probably see these on the front page of the Hindu every day. Please don’t get tempted to pick up anything new now. I firmly believe that simplicity is the key to brilliance so do not complicate your life. Stick to the basics and make a limited list of good sources. I studied the 2012-2016 preliminary question papers diligently. That gave me a question bank of 500 questions. This is your key to understand the mindset of the examiner. Try to figure out the source of the majority of questions. 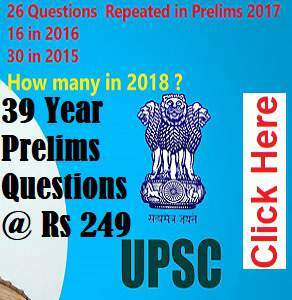 Make a list of certain topics or conventional type of questions that are being repeatedly asked by UPSC. For example, the following questions were asked in 2017: Mediterranean Sea is a border of which of the following countries? Which of the following gives ‘Global gender Gap Index’ ranking the countries of the world? These questions would have been easily handled by a candidate who had studied the previous year questions as similar questions have been asked before. When you’re studying such a vast syllabus, it’s important to know what will optimise your marks and what won’t. 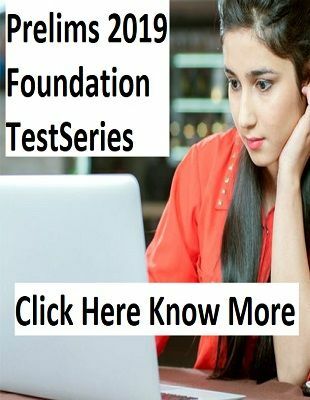 Previous year papers are a very important source to understand what is expected from you on June 3, 2018. I bought the Vision IAS test series from the market in Rajinder Nagar. They come out with 32 tests. I was really tempted to do all 32 but due to paucity of time, I could finish only 18 comprehensive tests. It is better to do 18 tests and revise that 3-4 times rather than doing 32 tests twice.You don’t have to attempt the papers because that will drain you and not leave enough time to do the other things. I attempted 5 tests in a timed 3 hour format and filled the bubbles in OMR sheet as well. For the remaining tests, I just looked up the solutions and tried to understand why that particular option was the right answer. This will help a lot as well. Star the important solutions and keep an hour a day to revise. For Prelims 2017, I picked the Vision IAS monthly current affairs booklets from May 2016 to May 2017. I wrote ‘Pre’ next to the news that could be asked as an objective question. I did not make my own newspaper notes as that is very time consuming and it’s a mammoth organisational task. I scanned the newspaper each day and if I found something extraordinarily important for prelims, I just wrote it in my prelims register. But I did not stress myself over the newspaper. I spent around 45 minutes to an hour to scan the newspaper while eating or taking a break. 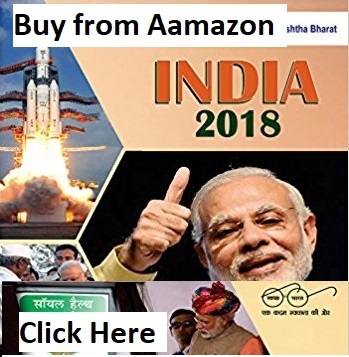 Actual current affairs study happened with the vision booklets because they consolidate the material in one place and memorizing becomes relatively easy. Vision and Insights come out with revision modules. Do take a look at the modules for international organisations and government schemes because these are sure shot questions for 2018. I really suffered in my first two attempts because I did not take revision seriously. You can allot an hour everyday or keep a full day at the end of the week to revise what you are learning each day. Personally, I recommend daily revision because otherwise, you might end up procrastinating. Revisions can be boring because there is no novelty in what you’re learning. However, revision is the only thing that will make you confident when you enter the examination hall. To make your revisions a little more exciting, try studying in public spaces. I have revised quite often in the excellent public library near my home and even at Ama Cafe in MKT, Delhi or Starbucks, Connaught Place. Get out of the confines of your room, find a quiet spot, order a latte and revise! When you’re studying your ncerts, keep an eye out for things that you would want to have a look at 2 weeks before the examination. I made a question bank of around 200-300 probable questions and important facts that I thought would optimise my marks. That register is all I revised in the week leading up to the examination. I think that this takes a lot of stress off the mind by keeping your energy focussed. Go out once or twice a week with your friend for a 2-3 hours. It is very important to get out of the house and not become a miserable and morbid soul. I loved listening to music while walking in the garden in the evening. That was my stress buster. If you are so inclined, you can meditate or do some light physical exercise. Go play a sport in the evening if that’s your thing. But most importantly: be happy. Happy studying leads to incredible retention. Try to take a genuine interest in what you’re studying. I know it is hard. Memorising the tributaries of all the major rivers in India isn’t the most stimulating activity. But it will gradually get you to your dream job. Find a way to make your studying fun and believe strongly that it will all work out very well in the end. If you have any toxic people in your life, this is the time to say your goodbye. Anyone who brings you down or drains your energy must be avoided like the plague. I remember that 3 years back, a person questioned my decision to write civil services by asking me why I was trying to be someone I was not. These so called ‘well-wishers’ who think they know you more than you know yourself must be politely blocked and deleted from your life for good. The preparation is a very lonely journey since it is primarily about self-study. If social media dampens your mood, deactivate it. I am not against social media or electronic gadgets but since the preparation is a crucial time, keep potential distractions at bay. You will feel vulnerable emotionally during this phase of your life and you cannot afford to see or know anything that will tick you off in a negative way or destroy your momentum. I wasn’t on facebook, instagram and snapchat because as an aspirant, I had no interest in knowing who was getting a job or going to Goa. Focus on your own game, be patient and remain positive. Study a high quality 8 hours every single day for now. Amp it up to 10 or 11 hours for the last 10 day push. Time blocking is very important. You should know exactly what you are supposed to do when you wake up. Obviously you cannot be lifeless and robotic so your timetable will never be executed precisely as planned. However, even if you are covering 80% of your ambitious timetable daily, you stand a very good chance at writing Mains this year. Mindset is everything: Even the person who will get rank 1 in CSE 2018 will not know everything while entering the examination hall. Be confident about your own preparation and your strengths and try to optimise your score with all that you know. Don’t lose your presence of mind or common sense during the examination because many right answers can be identified by eliminating options. Since the preliminary has become quite dicey, I would recommend that don’t be risk averse. I attempted 89/100 questions this year even though the paper was quite tough. If you are confused between 2 options, go with your gut feeling and attempt. A low attempt works if your accuracy is very high. For example, if you attempted 70 and got 65 right. I was never one of those people. If your accuracy isn’t that high, be on the offense. Remain calm and alert, take risk and optimise your score. I prepared my 3rd attempt along with the Young India Fellowship.YIF got over 40 days before the preliminary. I came back to Chandigarh for 40 days of study bootcamp in my room. 10 hours a day were all I could manage even though I would set lofty 12-14 hour targets. Looking back, it worked for me because my 10 hours daily were high quality 10 hours. This is because I studied with full focus and concentration. No gadgets were allowed in the study room. I cut myself off from the world and set an agenda for each day that would keep me active and motivated from dawn to dusk. I also studied very strategically in those 40 days and focussed only on those valuable sources and key topics that would help me optimise my marks. This is what made all the difference! Finally, I want to say that please believe in yourself and know that you are better than most candidates. The exam is not happening to you. YOU are happening to CSE 2018. You are your own competition. Have a growth mindset and try to improve each day. Commit to a rank and a service and pin it up on your board. There is nothing and no one that can take this away from you. Please do not hesitate to get in touch with me for any random queries or moral support. I will never forget my time as an aspirant and I really want to be there for all of you as you turn your dream into reality. I will be sharing my entire strategy, all my notes, sources, mocks and journal entries in the next few weeks 🙂 All the very best!